Lee Jeans and Mike Rowe of "Dirty Jobs" fame have teamed up to launch http://www.shopphobia.com/ , where men can learn to shop without fear. New Lee Premium Select combines a great new fit with updated finishes and details. This ultra-comfortable, built-to-last jean will instantly become your new favorite! Even though I've lost a fair amount of weight, I still haven't had the chance to really shop for a new wardrobe - so many of my days are spent in my "mom uniform" of yoga pants and a comfy top. Although comfort is key, I really would like to feel like me again, and the perfect pair of jeans is a GREAT place to start! Lee kindly sent me a pair of their Slender Secret Emily Straight Leg Jeans (pictured above) for review. Let me just say...slipping into my new Lee Slender Secret jeans was more than a confidence booster! These jeans are true to size, and fit just right, in all the right places. They provide soft control in the tummy area, and remain true to form throughout the day; still comfortably hugging your shape at the very end of the day (I dislike jeans that stretch in the backside and droop by the end of the day~is there anything more unflattering to a women's figure?!). These jeans, are by far the most comfortable, flattering jeans I have owned to date. Confidence, comfort, and style.......everything a gal could possibly ask for; found in the form of Lee's Slender Secret Jeans! Experience the comfortable style of Lee Premium Select 5 Lucky Reader's will each receive a Pair of Lee Premium Select Men's Jean's of their choice! Leave a comment~ Visit Lee online and let me know another style you would love to add to your wardrobe or tell us your (or the man in your life) most "Shop phobic" moment. 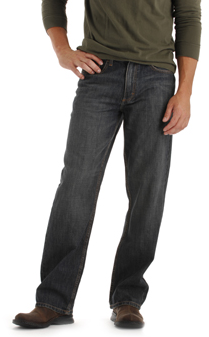 Another style I would like to add to my husband's wardrobe is the Heritage Bootcut Jean..thanks! I'd like to add the Relaxed Fit Bootcut Jean to my hubby's wardrobe!! I like the Heritage Belted Slim Fit Jean for my man. He HATES shopping and hates trying the item on even more. Thanks for the chance! I follow you on GFC and since my husband WILL go shopping - even with our tween daughter I will select a pair of jeans that I like - I love LEE and haven't gotten the Gold Label Milton Utility Slim Straight Jean. I would like to have those. I'd love for my husband to try the no-iron plain front pant! 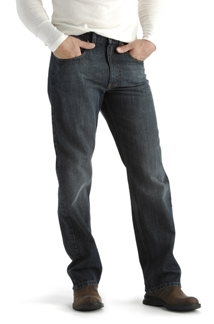 I follow, and my hubby would look good in the relaxed fit boot cut jeans!